Democrat Stacey Abrams and Republican Brian Kemp are in a tense standoff as the fate of the Georgia governor’s race remains unresolved, leaving the potential of litigation and a December runoff. Abrams’ team is renewing its concerns that Kemp, the current secretary of state, remains the chief elections officer supervising his own election, a race already marked by disputes over the voting process. 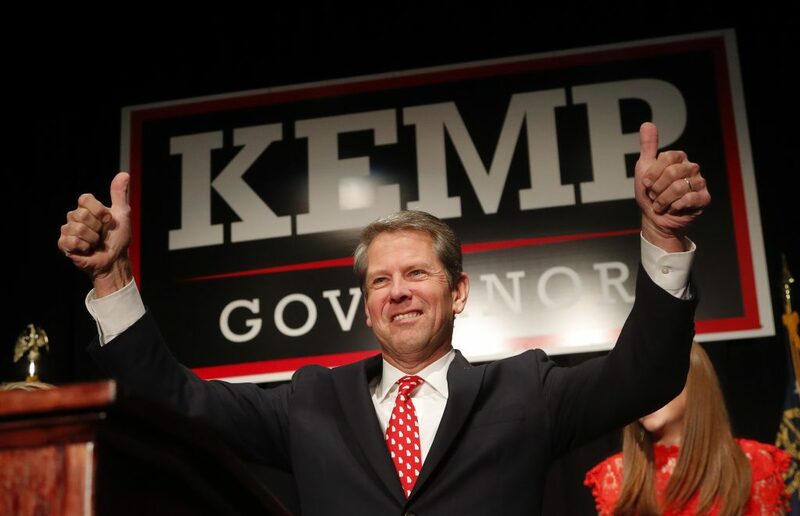 With reported votes exceeding 3.9 million — almost 95 percent of Georgia’s 2016 presidential turnout — Kemp has just more than 50 percent, but Abrams and her campaign maintain there are enough uncounted ballots to bring the Republican below the majority threshold required for victory. “We are leaving all of our options on the table,” including litigation, Abrams’ campaign manager Lauren Groh-Wargo told reporters Wednesday. “We feel we owe a fight … to every Georgia voter,” she said, adding that the Abrams campaign and Georgia Democratic Party are engaged “in all 159 counties” as counting continues. The indefinite extension in Georgia focuses a white-hot spotlight on a race that already has drawn massive investments of time, money and star power — from President Donald Trump and former President Barack Obama to media icons. Abrams, a 44-year-old Atlanta attorney, former state minority leader and moonlighting novelist, already has made history as the first black woman to be nominated for governor by either major party. She’d also be the first woman or nonwhite governor in Georgia history. Kemp, a 54-year-old businessman and two-term secretary of state, is vying to maintain the GOP’s hold in a state where Republicans have won every governor’s race since 2002, though by shrinking margins, amid a growing and diversifying electorate. Abrams answered with Obama and a celebrity.